Benefits of the rivers - World Rivers Become a Patron! Preserved, natural rivers and streams, in general, offer us many benefits, not only as a conventional resource as a waterway, hydropower energy or irrigation, to name just a few. There are other, often unknown, but essential. These benefits are called ecosystem services. In European Union alone, they are estimated to the worth 300 billion euro per year. They are mostly invisible, regulatory. But, when they are disrupted or gone, we see how valuable they are. An excellent way to understand these services is bees. They are pollinators. Without them, there would be no fruits and other agricultural products that rely on pollinating by insects. Without them, we would have to invest to other means at that would cost us. 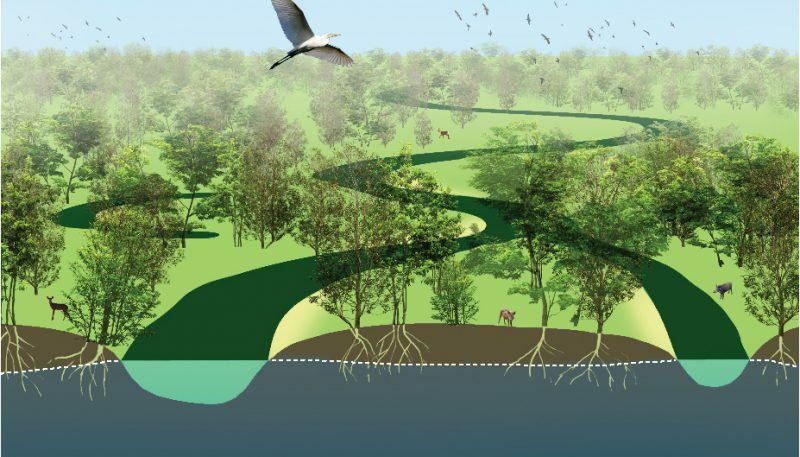 The functional floodplain is the essence of a healthy ecosystem, but also for hydrology. It is the best natural flood defense (Read more about the flood protection. 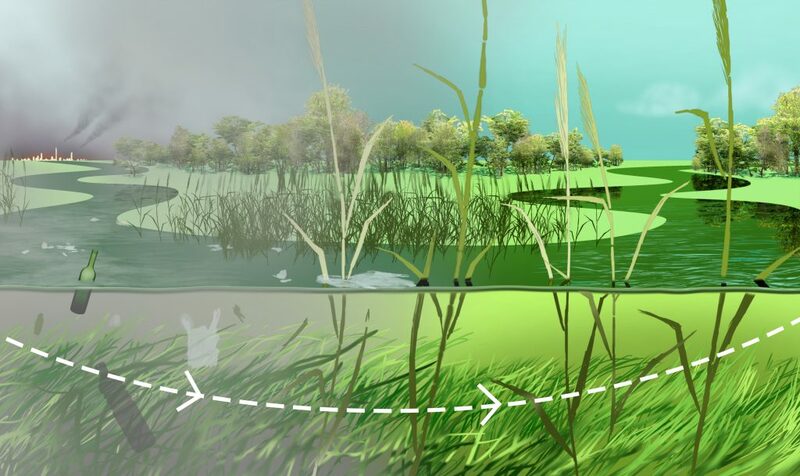 Wetlands can store incredible amounts of water from the rivers (Read how the flooding is a natural for almost every river). That excess water might otherwise flood cities what repeatedly happened in Europe, North America or Asia where rivers are heavily regulated. 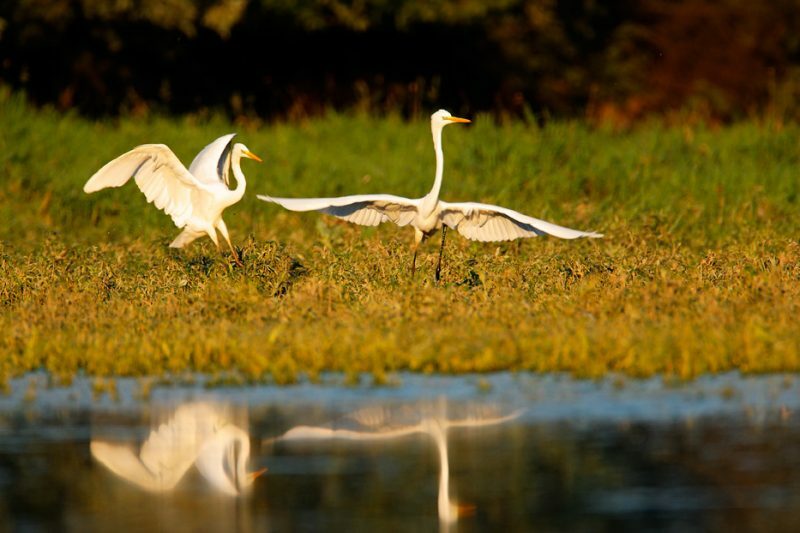 During floods, millions of liters of water are in touch with wetland vegetation and soil. Plants and microorganisms take the nutrients for its growth from the floodwater. Pollution in the river from the industry, agriculture or the cities is here very efficiently being purified by floodplain. Clean water is then dripping to the underground reservoirs that we use as a drinking water! Floodplains and floods are of extreme importance to recharging the underground reserves of the water, (aquifers). The story of California’s aquifers, depleted by a century of intensive … is very indicative. Now, experts are developing a plan for flooding the floodplains, including the fields in the winter, to replenish the crucial reserves. Carps and other species of fish come from the river to the wetland and spawn there. Vegetation and slower flow in oxbows and sidearms are suitable for spawning and attaching of eggs. 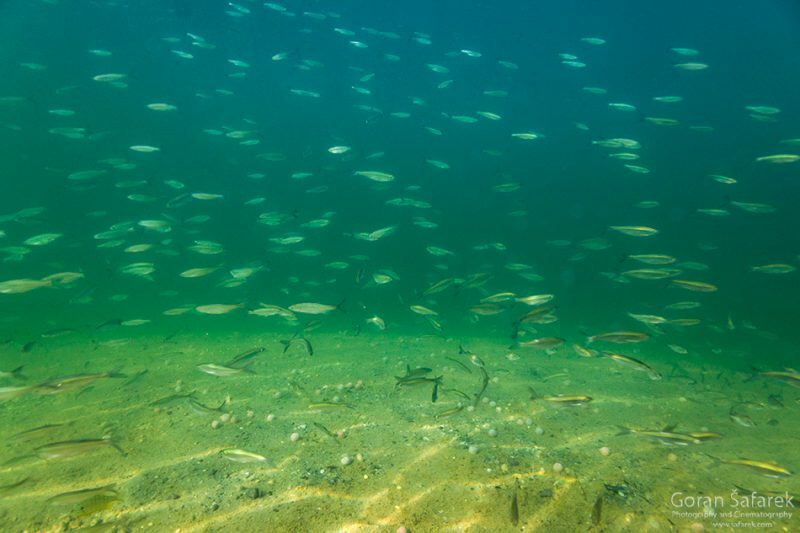 After growing, these fish return to the river. Rivers deposit sediment and nutrients in floodplains, making them very productive areas for growing crops. In other words, the floods are very useful. What is absurd, conventional flood protection is trying to prevent all kind of flooding, even the small, beneficial ones. This practice backlashes and we end up suffering from the devastating floods and not smothering these smaller ones. 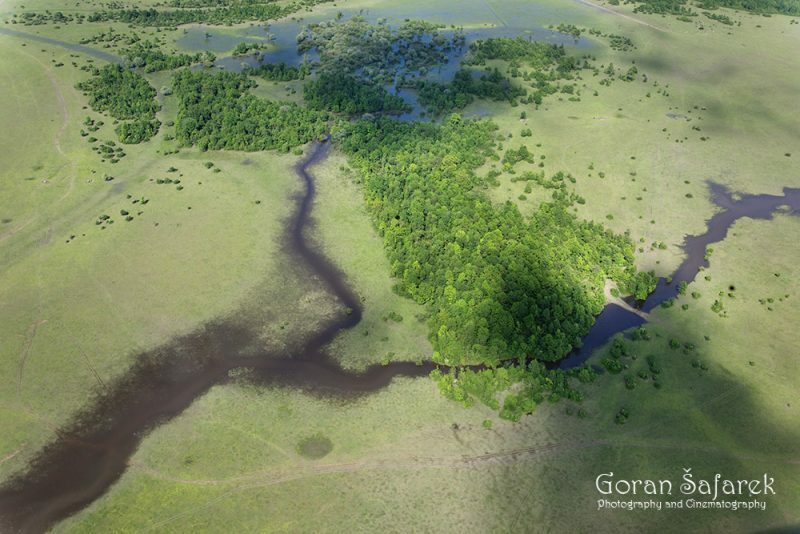 Floodplains are a productive environment for plants and wildlife and serve as nurseries for many species of fish. They provide vital habitat and are essential for maintaining the web of life. Tourism is not eosysem service by definition, but it is the direct result of the preserved rivers. 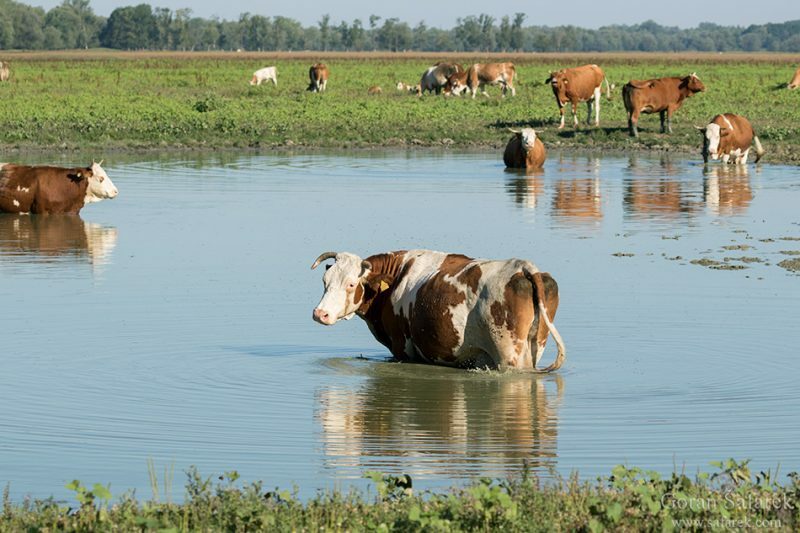 While ecosystem services such as natural flood defense or self-purification of water are vital generally, local population also needs a viable economic use of floodplain based on a sustainable way. Extensive agriculture is also one of the sustainable activities. We don’t need much pesticides and fertilizers that pollute the environment and are hazardous to human health. River flooding is a natural phenomenon Floods are acts of God, but flood losses are largely acts of man Why are wetlands important to maintain good water quality in rivers? How to prevent the floods?